We just wanted to share our confirmed release plans for Featherpunk Prime. It will be available on Steam on 1st September. Since we got greenlit the environment art, backgrounds, effects and colour palettes have all evolved a lot since our last post - which admittedly was a long time ago! We've added more boss fights, enemies and weapons. Our procedural generation system has undergone a lot of improvements too. We also added collectables and a few more power ups and upgrades. Thanks to all the folk who have given us feedback, it's been really helpful! Our showing at Rezzed gained us some press coverage. Here's a roundup! We were featured in GamingSpews' top 10 Games of Rezzed to watch out for! We're working harder than ever to improve and build on what we have, and deliver an awesome final game. Thanks your your support guys! 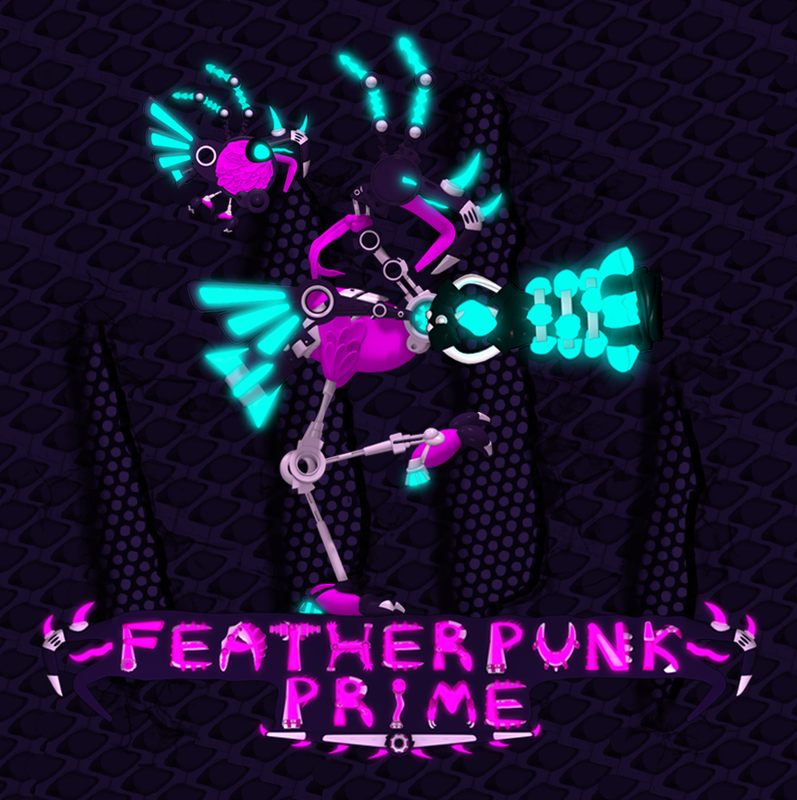 Featherpunk Prime is a hybrid of a twin-stick shooter and action platformer, starring a super-agile and upgradable robot-flamingo on a mission to ascend a neon soaked tower and take down the horde of Avian Warbots. All to the beat of a killer Avian-Disco soundtrack! Featherpunk Prime is inspired by some of the action in games like Mega Man and Contra, and the level generation of games like Spelunky and Rogue Legacy. Super Hatch Games is a British game studio. At our core we are a two man team. We are both ex-Sony developers. We are passionate about creating exciting and engaging games for gamers, full of personality and cool, crazy ideas. ● Be a super-badass-robo-flamingo; boost, sprint and slide into battle! ● Upgrade your skills and unlock powers; shockwaves, shields and more! ● Tough and dynamic enemies; they will surround you, hunt you down and charge at you! Use your agility to take them down! ● Unleash an arsenal of mighty weapons; explosives, crossbows, sentry bots, bouncer projectiles and many more! ● Brutal boss fights against huge avian warbots! Navigate the tower with a range of abilities; boost through the air, grind along platforms, cling and slide on walls, dodge enemy attacks, duck, sprint and jump. You aren't alone in your fight. F-Droid will aid your battle, giving you supporting firepower when you need it. Think of him as a pet. With guns. Taking down a group of enemies will take your full concentration. Combat grows more intense as you ascend the tower, yet more rewarding as you hone your skills and learn strategies to eliminate the enemies you come across. Use your surrounding level wisely and make sure you prioritise the right enemies first. The Robo-Flamingo’s is an agile species; make use of all his moves and abilities to jump and boost away from projectiles, cling to walls to gain better positions, duck and slide your way out of danger! You’ll find yourself constantly on your toes, reacting to each unique situation. Find space between projectiles and dodge enemies that launch themselves at you. Be wary of enemies hunting you down! Unleash an arsenal of mighty weapons! Every floor pick a new weapon from the ultimate arsenal. Why not give the minigun a spin? Bouncing bullets pack a deadly boing. The crossbow is tasty in it's remote and proximity flavours. A deployable sentry gun? Nice. Sticky mines should ruffle some feathers. Or just wield a blazing neon sword. And many more! Destroyed enemies drop Tekcells. Collect these from enemies and egg pods to buy new upgrades, such as increased firepower, health and quicker reloads to new abilities like the Shockwave attack or Boost. You can also upgrade your F-Droid's stats and skills. Featherpunk Prime is a challenging but not punishing game. Unlock checkpoints by defeating the Cybirdroid Guardians. Choose your entry point into the tower. Take on lower floors to improve your skill, collect Tekcells and level up, or progress to face the challenges higher in the tower where Tekcells are more difficult to obtain, but bounties are larger. The Cybirdroid Guardians are a diverse array of berserk and relentless creatures. Each one has a range of brutal attacks and a weakness to exploit. Eliminate them and be rewarded with an unlocked checkpoint and upgrades for your sidekick F-Droid! Collect Archive Data to uncover the backstory of your adventure. War has been raging in the Avereon Galaxy for many years; the evil Cybirdroid weapons company is the catalyst, profiting from the conflict. They must be stopped! Featuring a stack of killer Electro-Avian Disco beats! Music by Wing Cap Audio; composers Ben Ziapour and JoeSound. Featherpunk Prime is best played with a controller with analogue sticks. It also supports a mouse and keyboard control scheme. What type of weapon would like to see? Are there any abilities you'd like to see for companion F-droid? Hope those issues get resolved. Hey! The Linux version will be released soon. We've had quite a few more extra issues with the Mac version I'm afraid, I haven't got an estimate for that I'm afraid, as yet. what happened to OSX and Lunex compatability? I don't know if you'll see this Mommy's Best Games, but glad you like it! I definitely see similarities to Fatal Rewind. Love that era! This looks excellent! Kinda reminds me a little of Fatal Rewind.. maybe the two-legged character or the music or general vibe. Excited! Keep up the good work SuperHatchGames. Nice art style and a badass soundtrack. 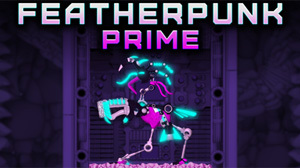 Featherpunk Prime has been Greenlit and is now listed in the Steam store. For the latest information, purchase options, and discussions for Featherpunk Prime, please see it on the Steam Store or in the Steam Community.